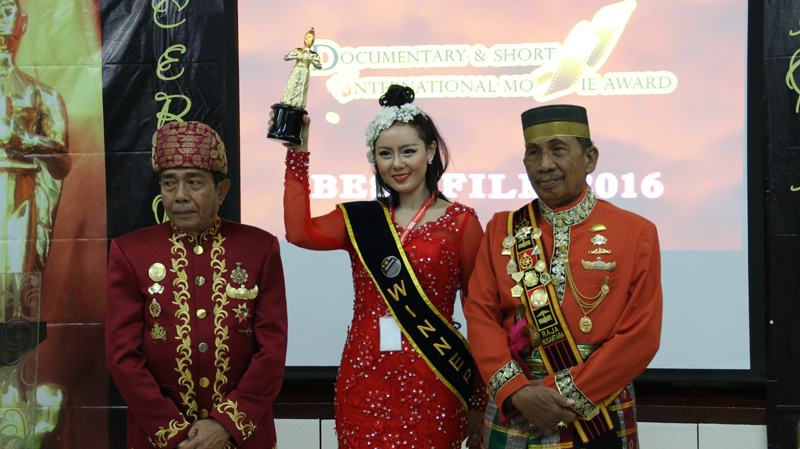 Documentary & Short International Movie Award is an international film festival located in Jakarta, Indonesia. In its fourth year this festival received 214 films for this year. The festival that focusing on documentary and short chose Bastion of the Giants directed by Sumesh Lekhi as its Best Film. The announcement was made in Manggala Wanabakti building, on the Awards Ceremony of International Film Festival celebrating International Day of Peace and was attended by Minister of Environment and Forestry; Siti Nurbaya Bakar, Minister of Communication and Information; Rudiantara, Minister of Public Works and Housing; Basuki Hadimuljono, Liy Wahid, The King and Queens of all Indonesia, Filmmakers from various parts of the world, local actresses and actors, activists and artists. Before choosing its Best Film, this festival has received 214 films this year and has chosen the candidates to win. Finally, the judges chose Sumesh Lekhi’s film to bring home the title of Best Film. Bastion of the Giants tells the story about protecting elephants. This film wins because how the story is told mixed with shots and good music makes this film different from other documentaries. This festival is working together with other international film festival; International Film Festival for Peace, Inspiration and Equality, World Humanitarian Awards, International Tourism Awards and International Film and Competition. This festival is organized in collaboration between People’s Creative Council, The Ministry of Environment and Forestry, Russian Culture Centre, World Film Council, i-Hebat International Volunteers, Radio Republic of Indonesia (RRI).